300 km journey through a vast ocean of untouched nature. 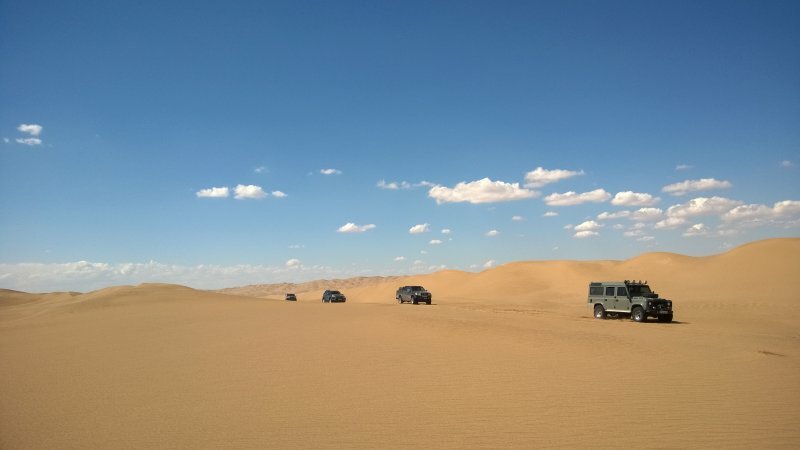 Experience the feeling of exploring a desert where people historically believed that it could not be crossed. 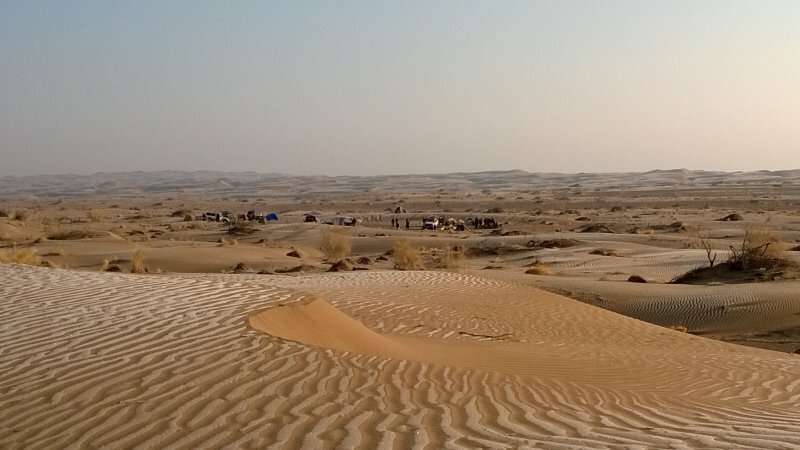 Since “Rig-Jen” is an area of different types of dunes which are mostly moving on top of the vast mud lands of the Central Desert, even the oldest caravans avoided the borders of this desert. The lack of water resources is another reason for that. We are proud to finally open a fascinating route to cross this unknown desert. Although we have exact plans to deal with all the difficulties, the nature of these trips is to expect the unexpected. Special dune riding techniques with optional activities like sandboarding and skiing on dunes will pump adrenalin into your veins. You will visit enormous Tagh jungles (the only plant that may even grow in +70⁰C) and different climates of a desert from the border to the core. 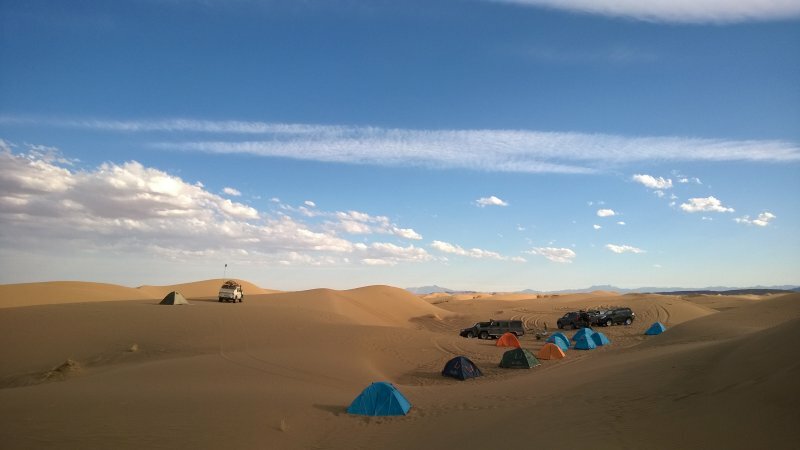 Camp sites with panoramic views of sunrises and sunsets over spectacular oceans of dunes will make an unforgettable memory of a special expedition in one of the most pristine deserts in the world. Kian Babazadeh and Ashkan Hedayati our professional adventure Guides have operated more than 60 Safari Tours through pristine areas of Iran’s tough deserts, high mountains and sunny shores since 2010. 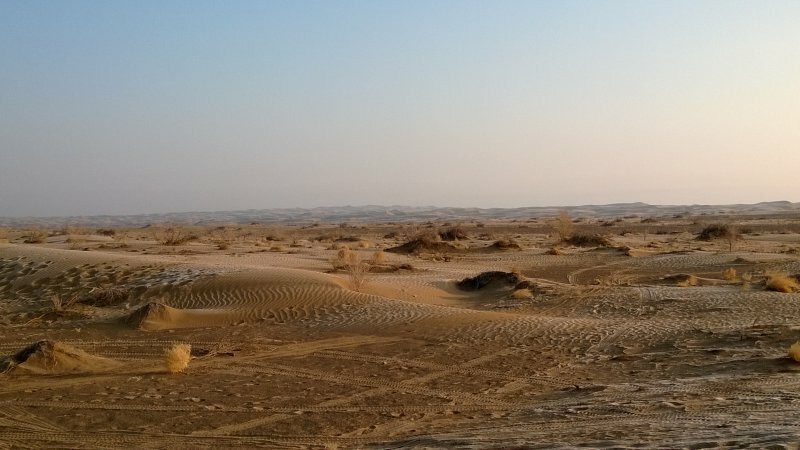 Their pioneer explorations of unspoiled Persian nature and culture, with state-of-the art technologies and techniques have opened new routes through Rig-Jen and Lut Desert – one of the least discovered deserts in the world – that have never been touched or walked by man before. 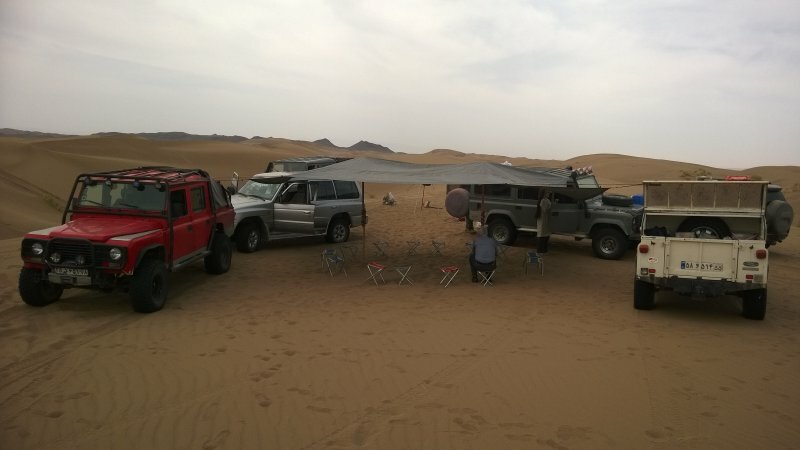 At the moment we are planning and operating different tours heading to untouched surroundings in Central Desert, Lut, Rig-Jen, Hirkanian Jungles, Alborz Mountains, national parks, protected areas and wildlife refuges. We begin our tour at 8.00am from Anarak to Rig Jen desert. After passing through the mountains we will enter a vast sea of dunes which we traverse in our trip. 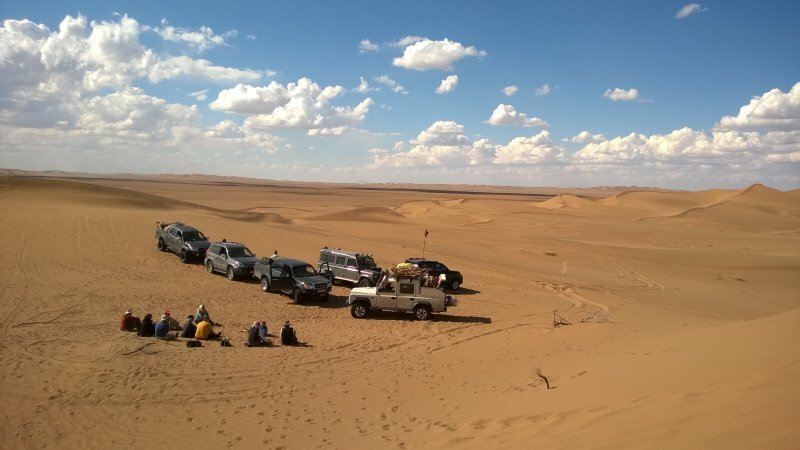 It will take about 2 days to pass this pristine area to arrive at long walls of dunes with more than 100km length. 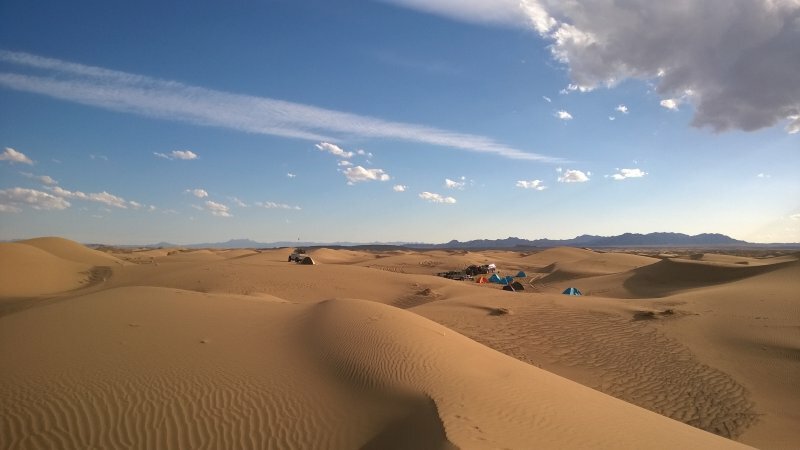 If there has not been any rain over the past 7 days, people who bring their sand board or snow board will have great opportunities to ski on the sand during these 2 days (optional). We will pass through a swamp area with long dune walls. Rig Jen has a special surprise for us before we leave to Jandagh and Mesr desert where tour ends are. Our accommodation is in a charming local house in the Jandagh area. And the next morning we will say goodbye to our guests. For an additional charge, we can bring you to any of these destinations: Tehran, Kashan, Esfahan, Naeen, Anarak, and Garmeh.